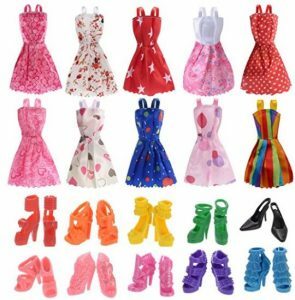 10 Pack Barbie Doll Clothes Party Gown Outfits with 10 Pairs Doll Shoes $7.99! Time to start shopping for stocking stuffers! Right now at Amazon, you can get this 10 Pack Barbie Doll Clothes Party Gown Outfits with 10 Pairs Doll Shoes for just $7.99!